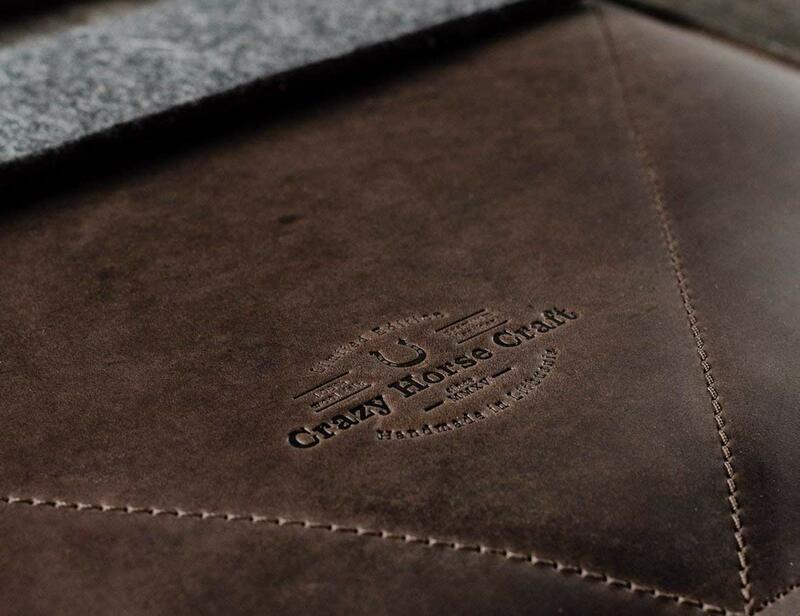 Protect your laptop while you’re on the go with the Crazy Horse Craft Leather MacBook Pro Case, made of Crazy Horse leather. 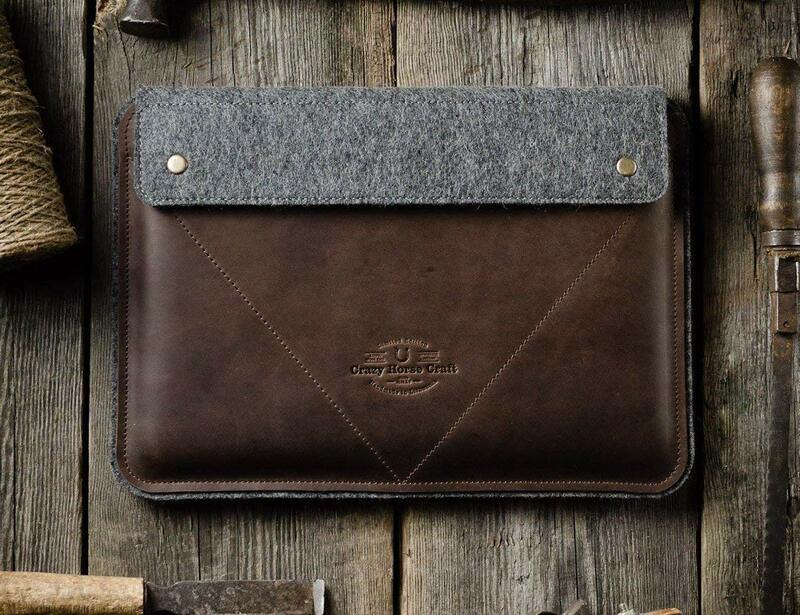 Protect your laptop while you’re on the go with the Crazy Horse Craft Leather MacBook Pro Case. 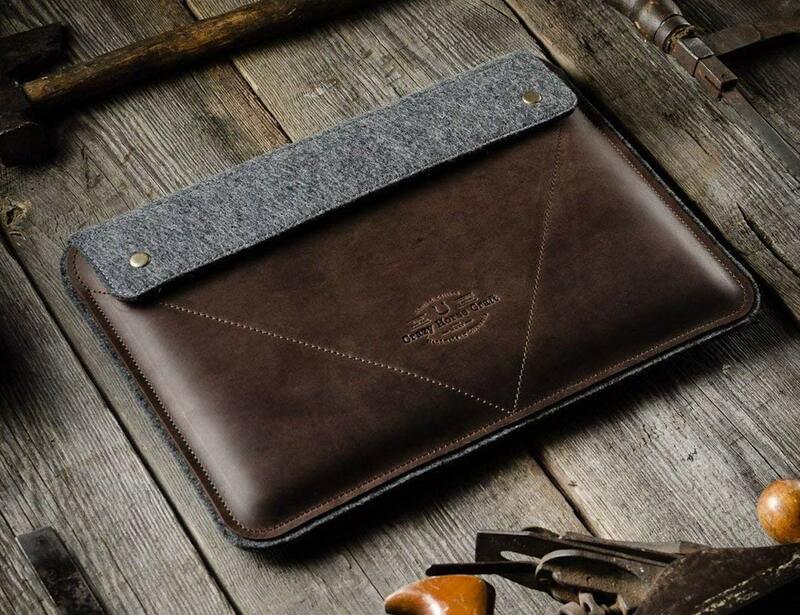 Made of Crazy Horse leather, this durable sleeve is designed to guard your laptop whether you carry it on its own or in your bag. 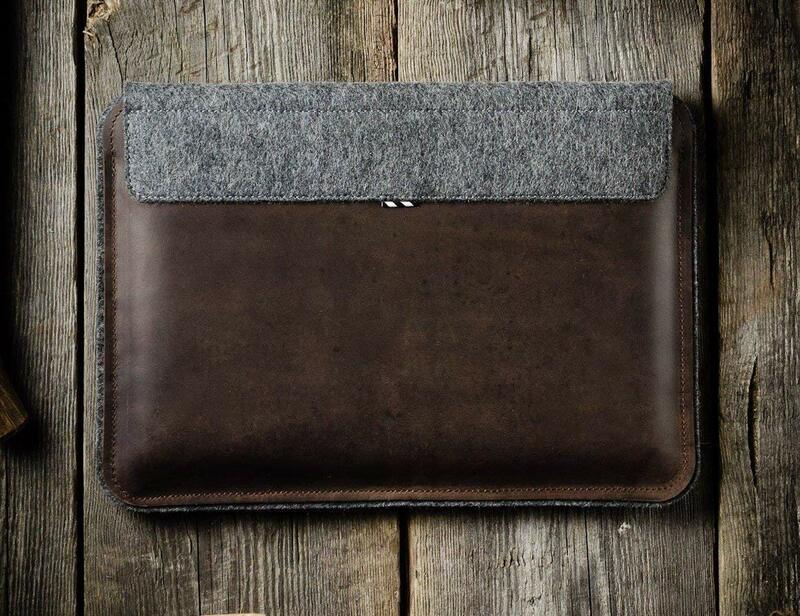 In addition, the case comes with 100% wool felt lining to prevent your computer from bumps and scratches. 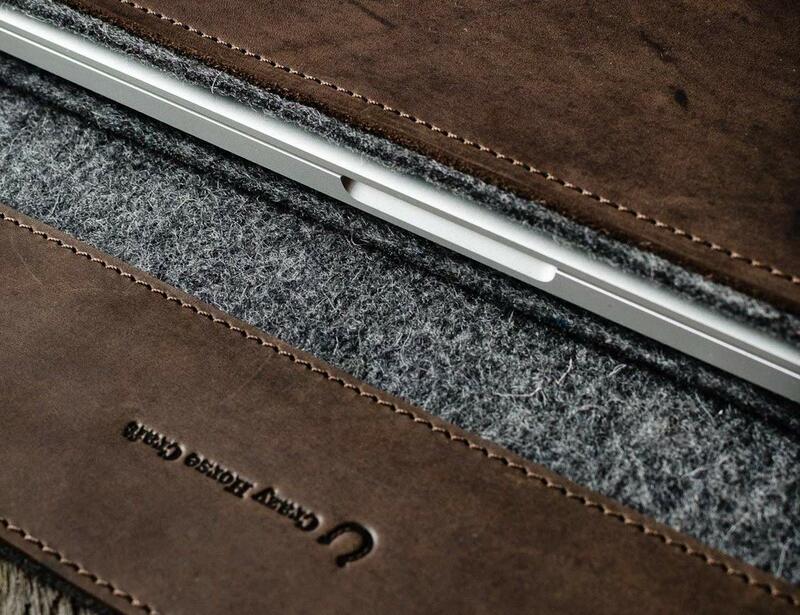 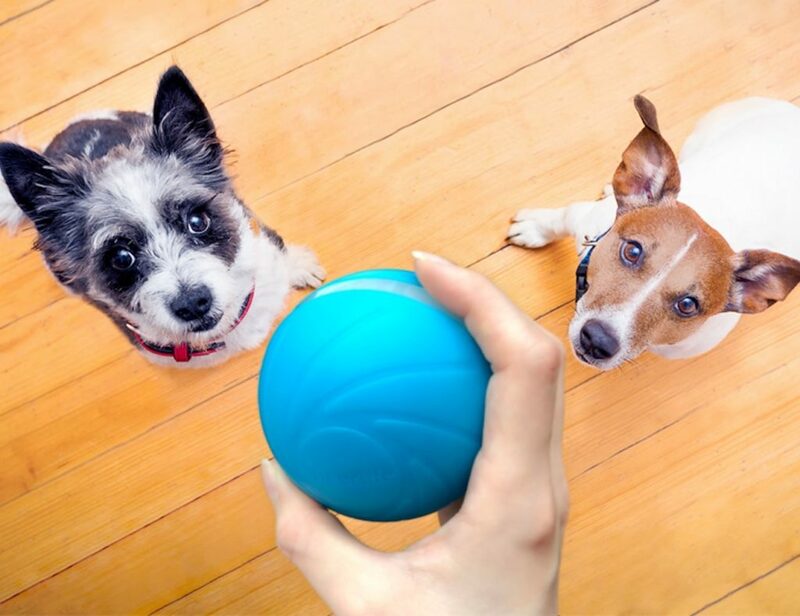 It also cleans your device each time you take it out of the case. 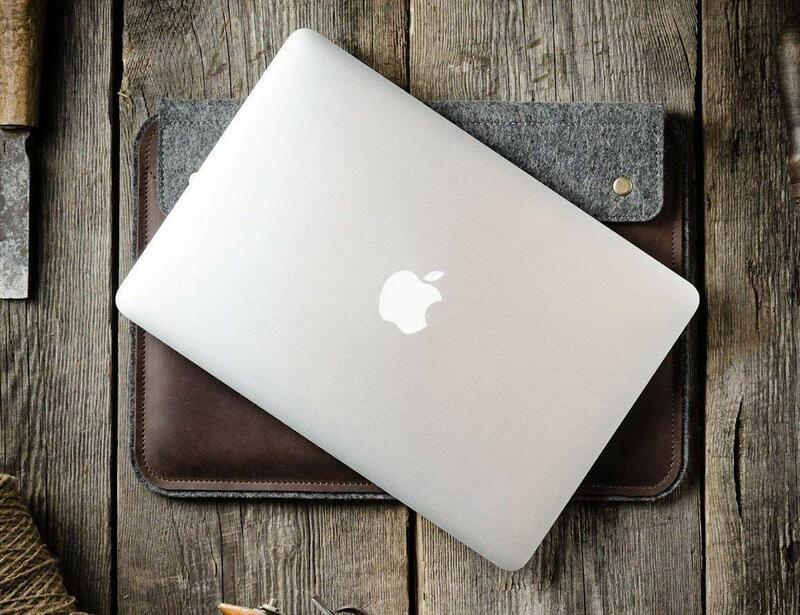 The Crazy Horse Craft case is compatible with the latest MacBook Pro with Touch Bar, including the 13-inch and 15-inch models. 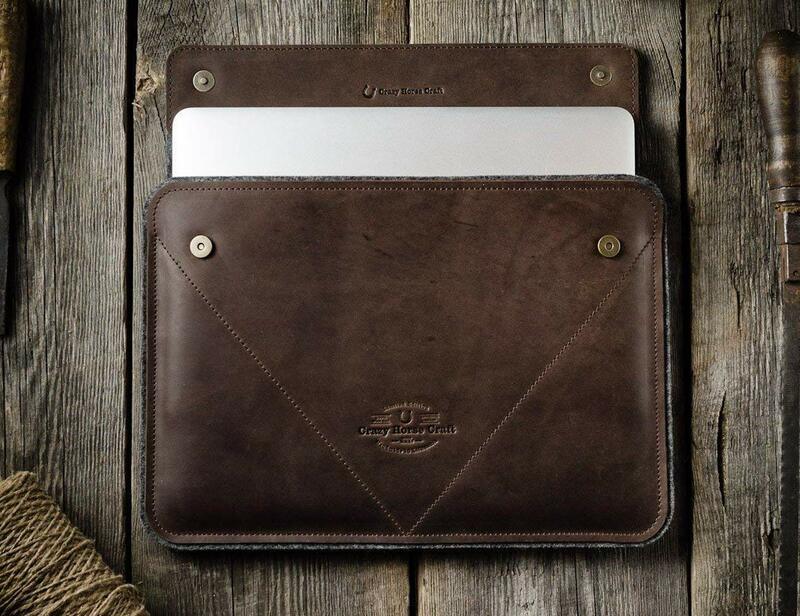 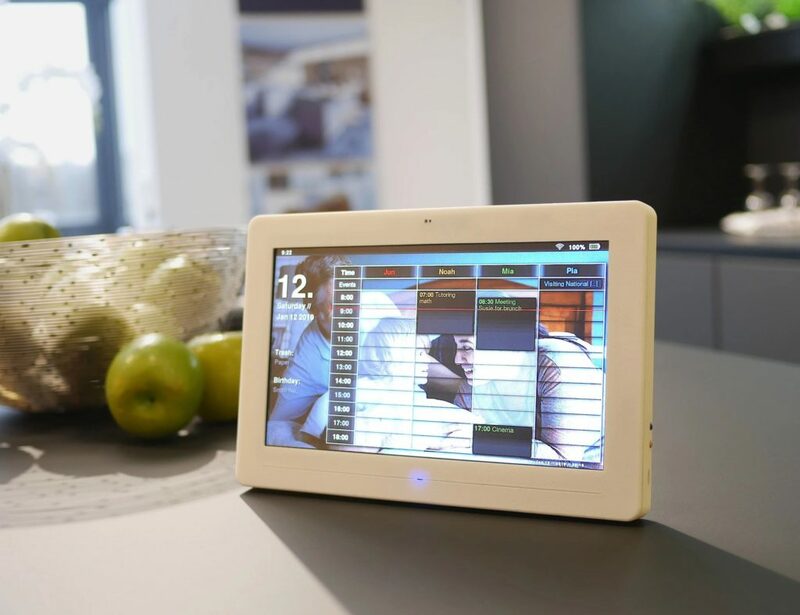 It also works with the 11-inch and 13-inch MacBook Air and the 12-inch MacBook Retina. 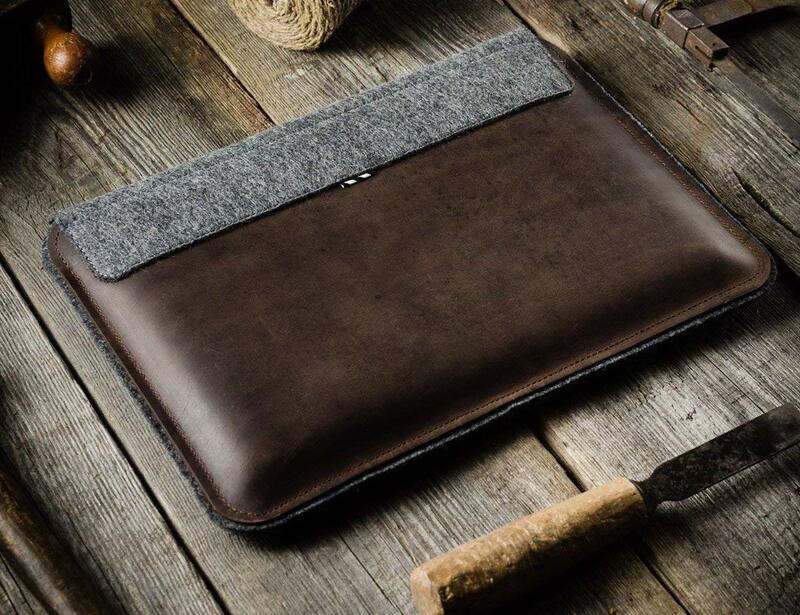 Furthermore, the rubbed leather changes colors over time, resulting in a unique antique appearance.